Car : Road : : Ship : ? QID : 2 – In the following question, select the related letters from the given alternatives. GLOW : FJNU : : PTEL : ? 5 : 124 : : 6 : ? 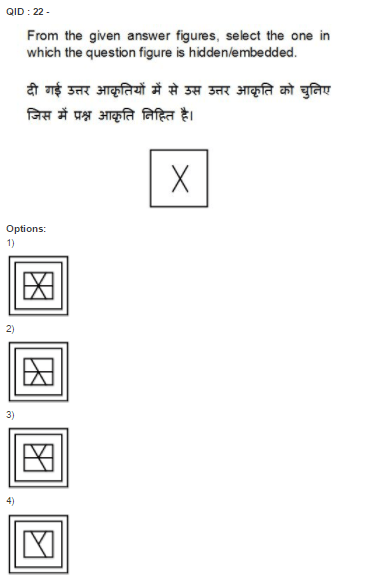 QID : 4 – In the following question, select the odd word pair from the given alternatives. 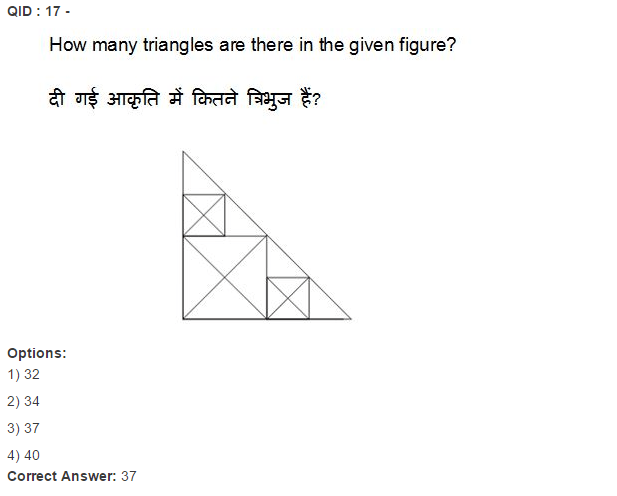 QID : 6 – In the following question, select the odd number pair from the given alternatives. QID : 8 – A series is given with one term missing. 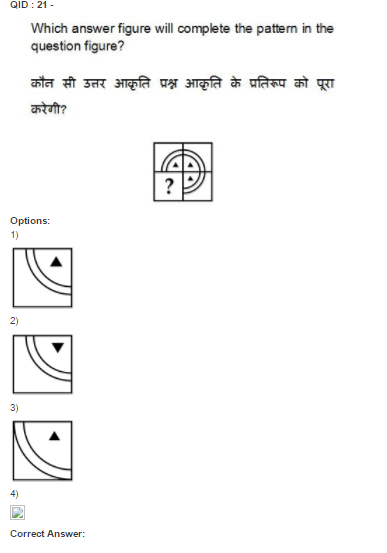 Select the correct alternative from the given ones that will complete the series. Q, P, O, N, ? 6, 9 , 15, 24, 39, 63, ? QID : 10 – P and Q are brothers. P is the father of S. R is the only son of Q and is married to U. How is U related to S? QID : 11 – Nine years later, age of B will be equal to the present age of A. Sum of A’s age 3 years later and B’s age 4 years ago is 76. If C is half of the present age of B, then what will be C’s age (in years) after 10 years? QID : 12 – In the following question, from the given alternative words, select the word which cannot be formed using the letters of the given word. QID : 13 – In a certain code language, “NIGHT” is written as “ODDGM” and “DARK” is written as “GOYC”. How is “GREEN” written in that code language? 12 % 6 # 24 = ? QID : 18 – In each of the following question below are given some statements followed by some conclusions. Taking the given statements to be true even if they seem to be at variance from commonly known facts, read all the conclusions and then decide which of the given conclusion logically follows the given statements. 2) Only conclusion (I) and (III) follow. Correct Answer: Only conclusion (I) follows.